Hockenheim, Germany - Toyota driver Timo Glock of Germany is set to return to Formula One racing from injury at next week's season-ender in Abu Dhabi, his manager said on Saturday. Manager Hans-Bernd Kamps said at touring car races in Hockenheim that Glock's chances of racing were "90 per cent." Glock had to sit out last Sunday's Brazilian Grand Prix over a chest injury sustained in qualifying for the Japanese GP. The final decision will be made after medical examinations on Monday. Hockenheim, Germany - Formula One racing will continue at Germany's Hockenheimring until 2018, it was confirmed Wednesday. The news comes after the regional council where Hockenheim is situated approved late Tuesday a contract between the circuit's management company Hockenheim GmbH, the mayor of the area's town council and the Formula One Association (FOA). Under the deal, FOA and Hockenheim GmbH will share the financial burden of hosting the event, meaning the 2010 German Grand Prix will now take place at the circuit as planned. Hockenheim, Germany - The future of Formula One racing at Germany's Hockenheim circuit remained open after the regional council shelved a decision on ending racing at the loss-making track. 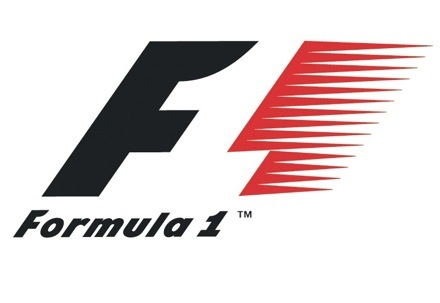 The council Wednesday evening said no decision would be taken on renewing the F1 contract after 2010 until talks in Stuttgart in May between Baden-Wuerttemberg state and F1 supremo Bernie Ecclestone. The state has meanwhile indicated it might be prepared to provide financial backing to help ensure the circuit's Formula One future. Hockenheim, Germany - A German state premier is to seek talks with Formula One supremo Bernie Ecclestone in an effort to safeguard the future of the Hockenheim Grand Prix, it was agreed Tuesday. The Baden-Wuerttemberg economics ministry said it was agreed at a cabinet meeting that state premier Guenther Oettinger meet Ecclestone over the loss-making circuit. The state urged Hockenheim's regional council to shelve making any decision at a meeting Wednesday on the circuit's future. Hockenheim, Germany - Hockenheim's regional council will discuss the future of the Hockenheim Formula One circuit at a private meeting later Monday with a decision expected Wednesday. "This meeting will serve only for a discussion and to exchange information," regional mayor Dieter Gummer told Deutsche Presse- Agentur dpa. "The decision will be made at a public meeting on Wednesday."